It seems as if every few weeks there’s another watermelon controversy. TheBoston Herald got in trouble for publishing a cartoon of the White House fence-jumper, having made his way into Obama’s bathroom, recommending watermelon-flavored toothpaste to the president. A high-school football coach in Charleston, South Carolina, was briefly fired for a bizarre post-game celebration ritual in which his team smashed a watermelon while making ape-like noises. While hosting the National Book Awards, author Daniel Handler (a.k.a. Lemony Snicket) joked about how his friend Jacqueline Woodson, who had won the young people’s literature award for her memoir Brown Girl Dreaming, was allergic to watermelon. And most recently, activists protesting the killing of Michael Brown were greeted with an ugly display while marching through Rosebud, Missouri, on their way from Ferguson to Jefferson City: malt liquor, fried chicken, a Confederate flag, and, of course, a watermelon. The primary message of the watermelon stereotype was that black people were not ready for freedom. 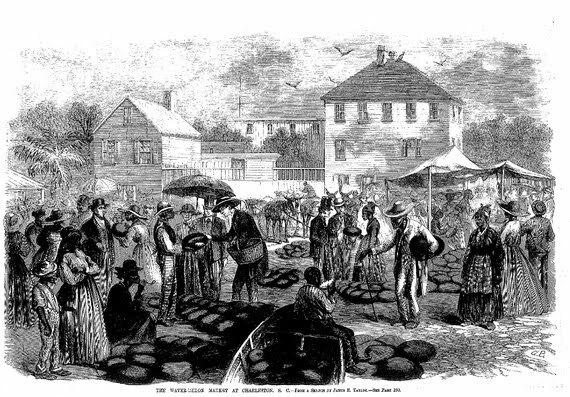 During the 1880 election season, Democratsaccused the South Carolina state legislature, which had been majority-black during Reconstruction, of having wasted taxpayers’ money on watermelons for their own refreshment; this fiction even found its way into history textbooks. D. W. Griffith’s white-supremacist epic film The Birth of a Nation, released in 1915, included a watermelon feast in its depiction of emancipation, as corrupt northern whites encouraged the former slaves to stop working and enjoy some watermelon instead. 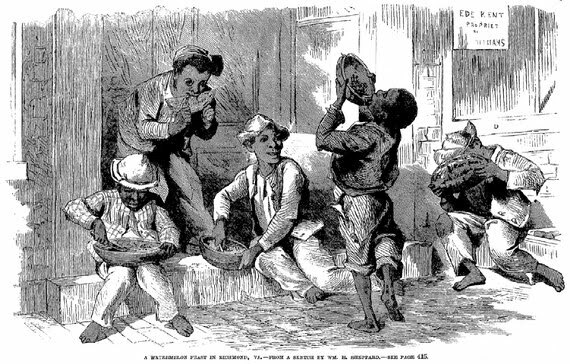 In these racist fictions, blacks were no more deserving of freedom than were children. 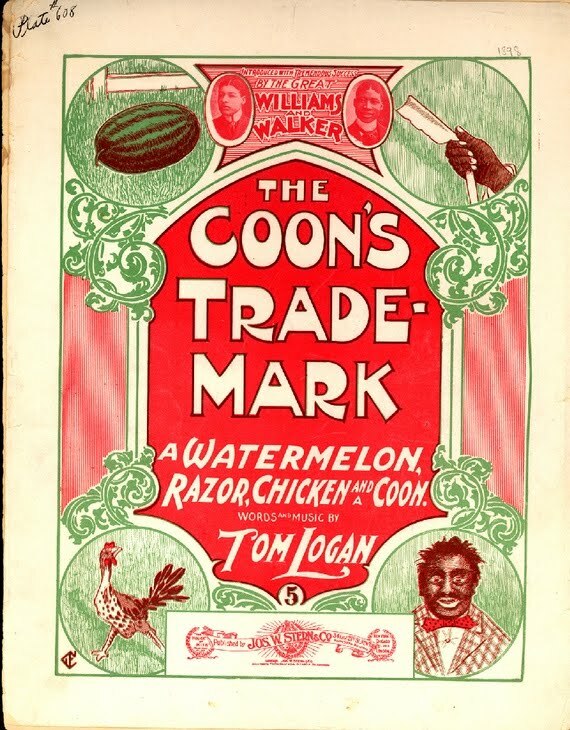 By the early twentieth century, the watermelon stereotype was everywhere—potholders, paperweights, sheet music, salt-and-pepper shakers. 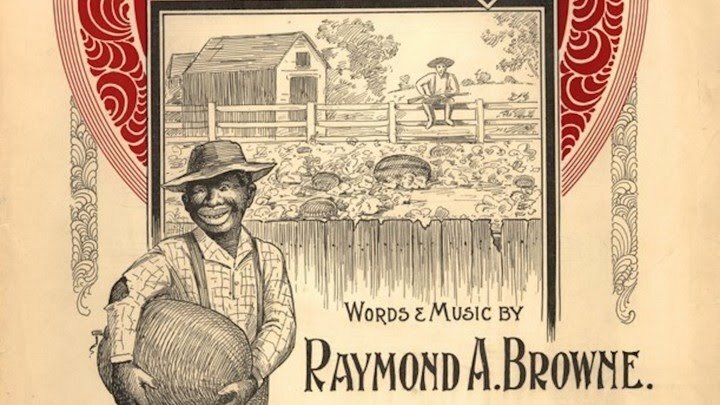 A popular postcard portrayed an elderly black man carrying a watermelon in each arm only to happen upon a stray chicken. The man laments, “Dis am de wust perdickermunt ob mah life.” As a black man, the postcard implied, he had few responsibilities and little interest in anything beyond his own stomach. Edwin S. Porter, famous for directing The Great Train Robbery in 1903, co-directedThe Watermelon Patch two years later, which featured “darkies” sneaking into a watermelon patch, men dressed as skeletons chasing away the watermelon thieves (à la the Ku Klux Klan, who dressed as ghosts to frighten blacks), a watermelon-eating contest, and a band of white vigilantes ultimately smoking the watermelon thieves out of a cabin. The long history of white violence to maintain the racial order was played for laughs.